The untamed and inimitable Jet Black Pearl from the port of Amsterdam spent many years in the south of France before settling in Portland in 2014. She has performed on more than a thousand stages all over the world. Smartly wacky, her songs sound like a mad hatter’s European gypsy tea party with a hip hop attitude. 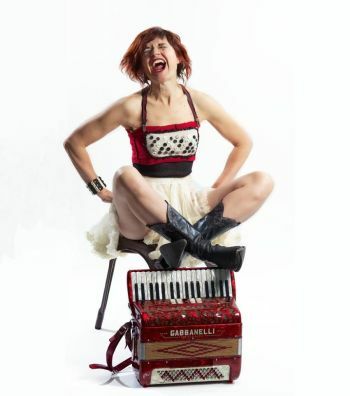 She creates grooves and mesmerizing layers of flute, plastic bottles, vocal percussion and harmonies, while squeezing one hot accordion.